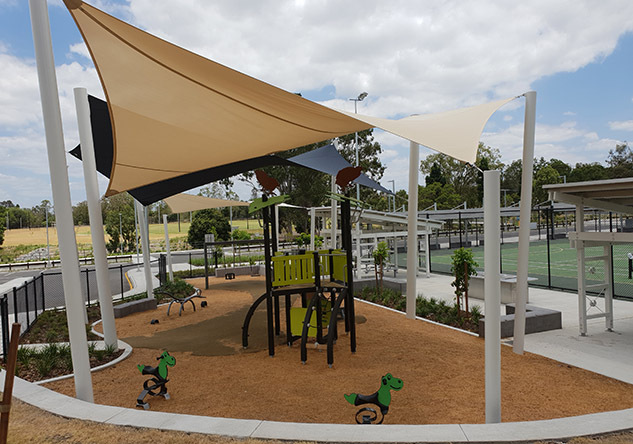 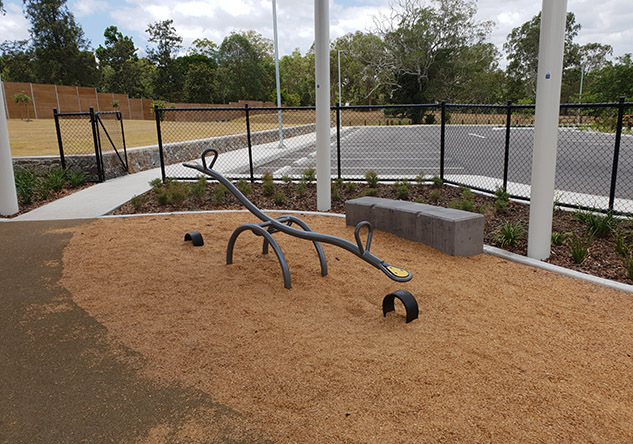 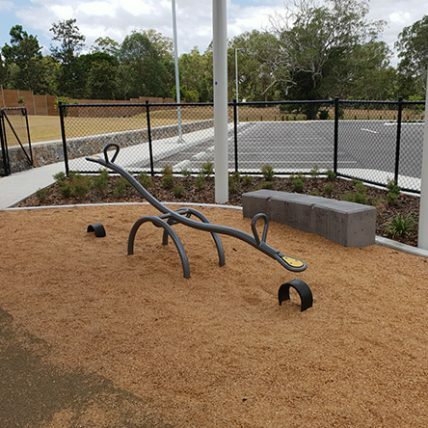 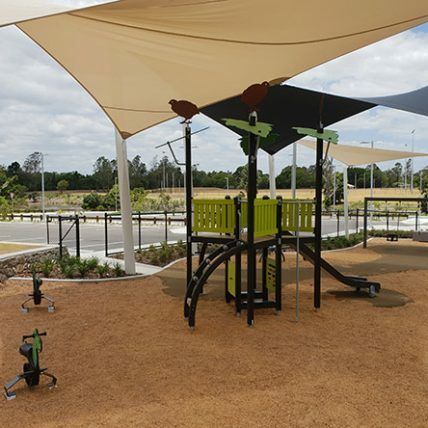 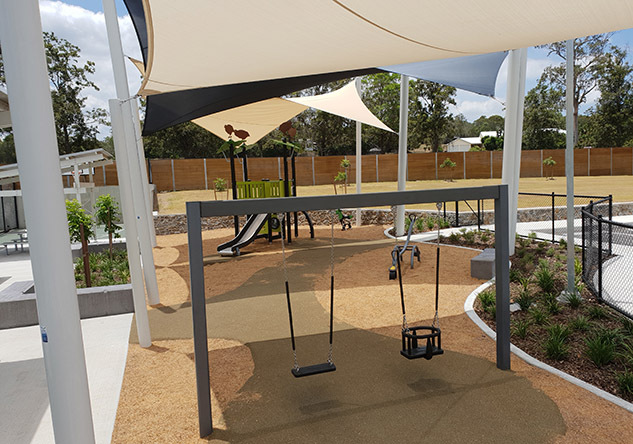 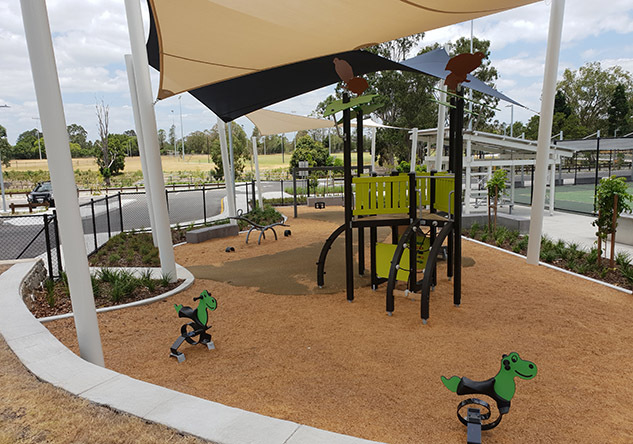 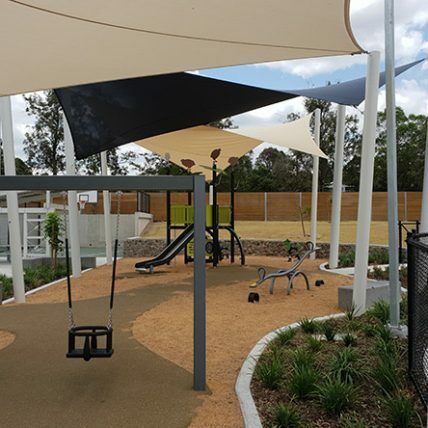 When the Brisbane City Council constructed a new landmark sports precinct – the Moggill District Sports Park – a Children’s Playspace was also created. 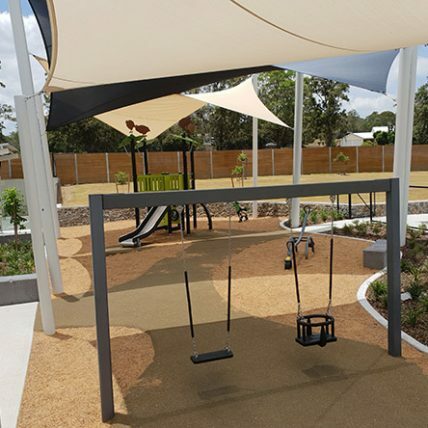 The Lappset Quail’s Wood Multi-Activity Tower was chosen as the feature. 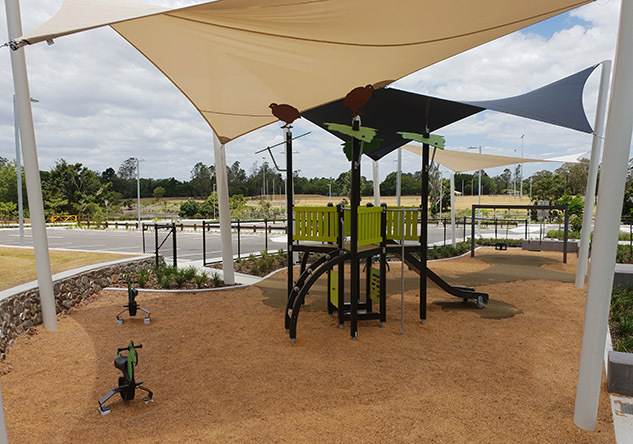 The Quail’s Wood is an exciting, star shaped multi functional play tower with a lot of fun activities for many ages. 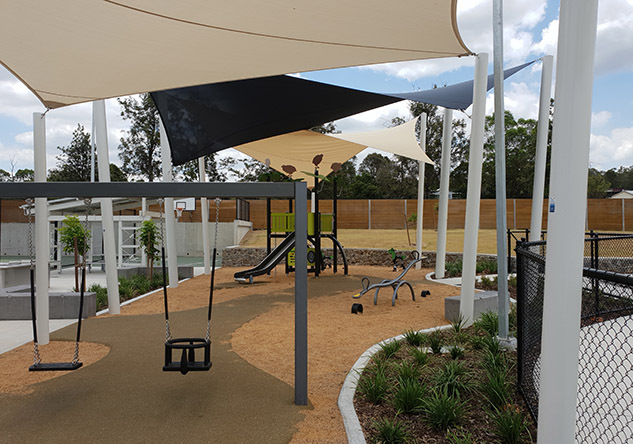 The tower under the leaves can be accessed via different kinds of climbing ladders; a slide and a fireman’s pole further complete the unit. 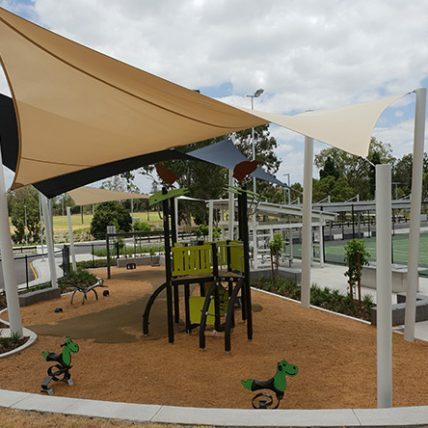 Below the tower there is a hide-out for the little ones with abacus and labyrinth play panels. 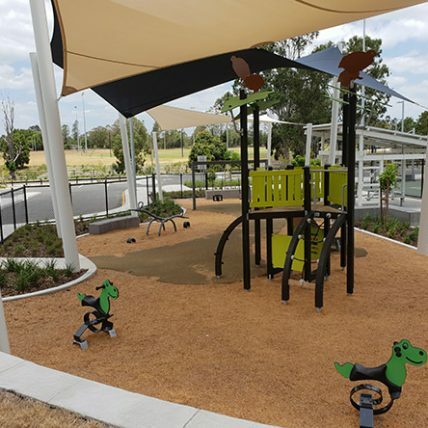 A metal Seesaw for two, a set of bright green Dino rockers and the Halo streamlined and elegant swing frame completes the playground.